Hello and a Happy New Year to you all! There's been a shortage of news over the Christmas and New Year period, so to accommodate for that we've decided to do a one-off extended post covering two weeks of news rather than one! We hope you enjoy it, as it brings a tonne of news including a special edition Jaguar F-Type, a 1000bhp electric supercar and two new i8 concepts! New US-based brand Faraday Future have pulled the covers off a distinctively unique concept - a single-seat electric supercar dubbed the FFZERO1. Shown off at CES, the car comes fitted with four quad core electric motors, combining to produce a whopping 986bhp - that's more than the LaFerrari! It's claimed to achieve 0-62mph in less than three seconds and capable of more than 200mph. Although the car is only a concept at this stage, the firm will use a lot of its shape and design to create a variety of different body styles that'll be used in production cars over the next two years. With that striking shape, we look forward to seeing what a FFZERO1-inspired production car looks like! 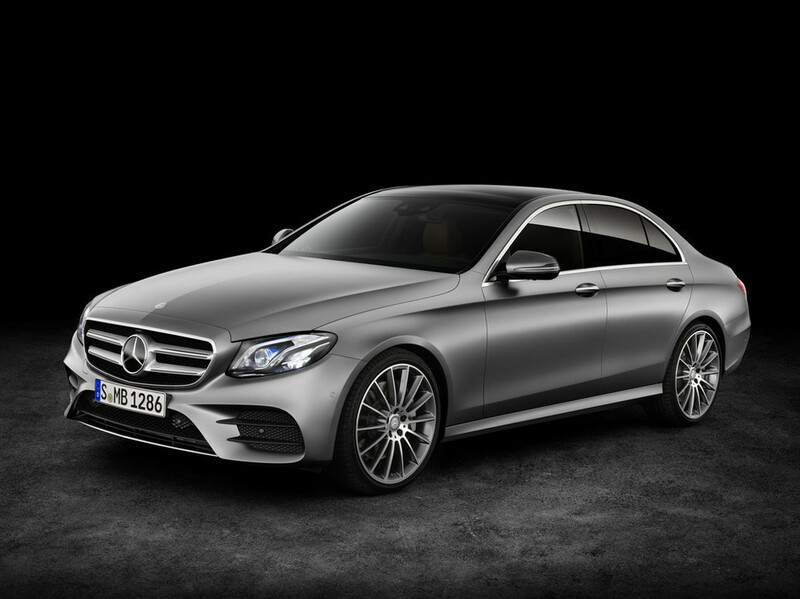 The next E-Class saloon has be accidentally leaked online, showing how the all-new German executive car will look. The images of the seventh generation model have come from German website Auto-Presse, and confirm reports that Mercedes are looking to build on the success of their best-selling car. It shows some noticeable differences including a new grille, LED headlights, curvier shape, a subtle spoiler and more. All of the changes seem to allow the car to fall in line with all of the brand's other latest models. The car is expected to official revealed this month, so we'll be sure to bring them to you as and when they are! A special-edition F-Type dubbed the British Design Edition has been officially unveiled - three years after the car's launch. Available in both Coupe or Convertible, the car receives a sportier body kit, 20-inch Cyclone wheels, uprated brakes with red calipers, a black front splitter, body coloured side sill extensive and a fixed rear spoiler. The interior has also been given some love, with full leather, 14-way electrically adjustable sports seats and British Design Edition-embossed headrests. It'll be available in four colours: Ultra Blue, Caldera Red, Glacier White and Ultimate Black. The car is only available with the 375bhp 3.0-litre V6 S engine with an eight-speed automatic gearbox and all-wheel drive layout. It's on sale now and priced at £75,225. British Sports car manufacturer McLaren have brought a high-tech 675LT to CES to show off a load of cool gadgets and styling updates that may soon arrive in their production cars. The car dubbed the JVCKenwood - due to their collaboration with the Japanese electronics company - includes a digital cockpit with advanced head-up display, a steering wheel taken from their P1 GTR and a really impressive system that replaces the rear and wing mirrors with cameras that feed a display at the top of the windscreen. Clever stuff! McLaren have said they don't have the technology integrated in a production car as of yet, but it's a great showcase of what can be achieved and possibly available in the next few years. Bentley's coach-building division Mulliner have teamed up with audio specialists Monster to create a unique Bentley Contintental. 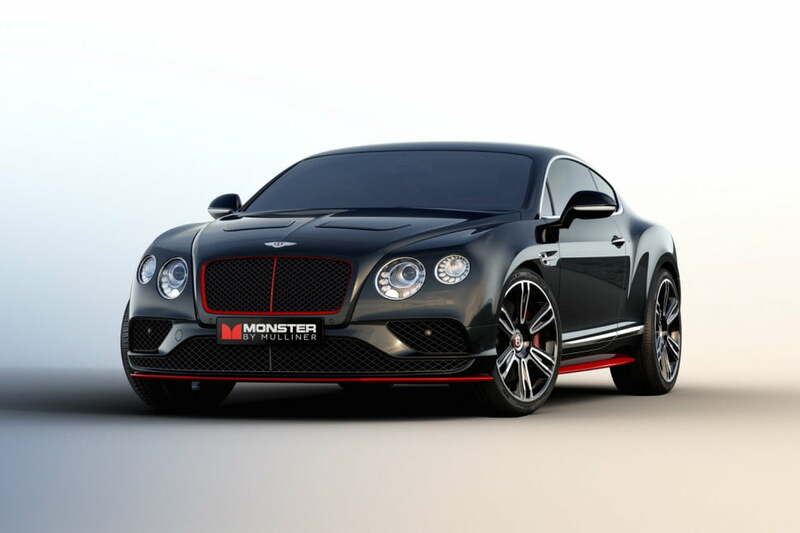 Originally a Continental GT V8 S, the Monster by Mulliner has been given a huge makeover starting with the Monster colour scheme of red and black throughout. It also comes with a custom bodykit which features red splitters, a red-trimmed grille and black bonnet vents. It's topped off with polished black alloys and the door sills sporting the Monster motto: 'Aways lead, never follow'. Of course with the car having Monster contribute, it also has a load of audio-related upgrades. Firstly, the car comes with Monster's latest product; the 24K Gold DJ wireless headphones. On top of that the sound system installed is a 3,400 watt beast, with the company's signature audio profile tuning known as 'Pure Monster Sound'. In smaller news, Mulliner also showed off their new natured-inspired stone interior. The upgrade is a combination of slate and quartzite stone and then cured with glass-fibre and specialist resin. Fancy! Rolls-Royce's CEO Torsten Muller-Otvos has revealed that the firm's first SUV is now undergoing testing. The car, currently dubbed 'project Cullinan', will be tested vigorously to ensure the smooth, soft ride that Rolls-Royce's are synonymous with is carried through. It's expected to launch in the second half of 2018, and although 'Cullinan' is currently a codename for the car - named after the world's largest rough diamond - it could become its actual name with Muller-Ottos saying "I love the name." With the confirmation of the Cullinan SUV arriving, it was also confirmed that some of the testing data collected will be carried through to the new Phantom too, although little is known about that yet. BMW have brought two quite different i8's to CES this year - the iVision Future Interaction concept and Mirrorless concept. The iVision Future Interaction concept shows the convertible i8 design and other small exterior changes, but the main focus is well and truly on all the technology going on inside. Tech includes a new gesture control system, a huge dash-sized 21" screen, an advanced personal assistant system known as BMW Connected, cloud connectivity and some design changes too. As for the Mirrorless concept, the name gives a huge indication as to what's been achieved - a car without mirrors. Instead of having wing mirrors or a rear-view one, they've been replaced with three wide-angled cameras which feed a screen placed instead of the rear-view mirror. The system may unnerve some of our readers, but BMW promise it's been designed to entirely eliminate blindspots and also detect potential hazards too. You have to admit, it does look and sound quite impressive! Audi have brought their e-tron concept to CES and in doing so shown off a new interior which includes a whole host of new technology. The interior is based on the one shown in last year's Q6 e-tron concept but with even more of a futuristic-styling. It also includes a large touchscreen display, gesture control and an Audi Fit Driver system which uses a fitness watch to calculate how stressed or tired the driver is, then adjusts the car's lighting and heating accordingly. Clever. There was also a few other Audi-related technological concepts, including a system which allows a car to get to know you and proactively support your habits and preferences. Perhaps a bit too far?